Let’s be honest: As much as we can’t stand the subzero temperatures and brutal weather conditions that come with the months of winter, those very same things are what makes us fall in love with the season year after year. Before you start to think we’ve gone crazy, hear us out. While we’re certainly not planning on spending every waking moment outdoors, we can’t deny the fact that the wintry weather gets us in the mood to surround ourselves in a sea of knitwear—in particular, oversize sweaters. Despite the rise in sleepwear as regular clothes, you can’t always wear your pajamas everywhere you go (although it may be tempting). However, if you’re looking for a cozy alternative that will also keep you warm throughout the coldest winter days, an oversize sweater is the perfect alternative to simply lose yourself in. Plus, they go with literally anything you’ll wear, whether it’s a chic pencil skirt for the office or your favorite pair of jeans on the weekend. Ready to add one (or two) to your closet? Scroll down to shop the coolest oversize sweaters to wear every day this season. You won’t regret it. This will feel like a cloud. 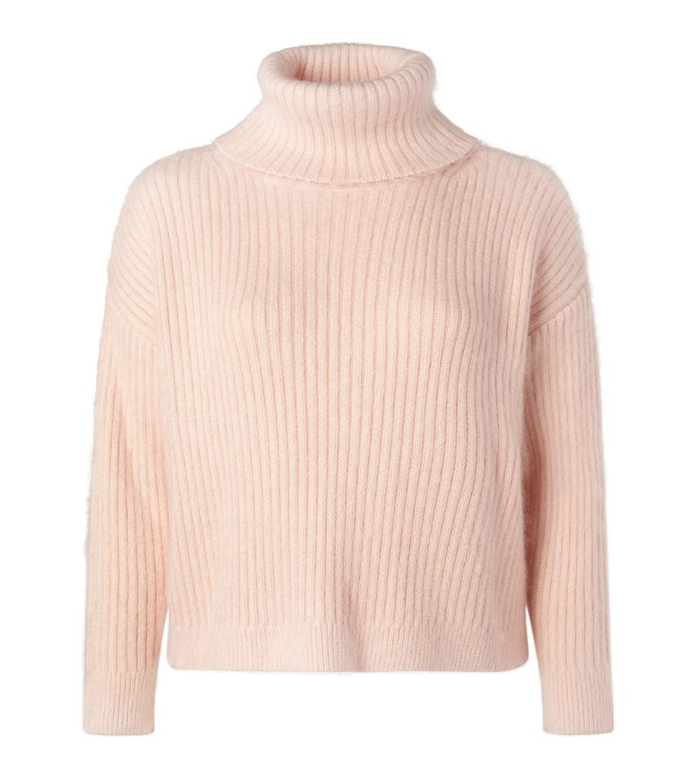 Fall in love with this turtleneck. Brighten up your winter days with this. Classic black will never do you wrong. Bright red will always be in style. Wear this season's most popular sweater trend. We're obsessed with this sweater. Yes, you need this in your closet. If you love the animal print trend, this is for you. Finally, oversize sweaters you'll never want to take off.